Statins are among the most widely studied, successful medications in the treatment and prevention of cardiovascular disease including stroke, myocardial infarction, and peripheral vascular disease. Sadly, due to some bad press, there continues to be much misinformation and misunderstanding regarding the risks and benefits of statin use. Many patients and clinicians believe that statins harm the liver, cause diabetes and cognitive decline, and lead to muscle aches and pains. In fact, of the 56 million Americans who are candidates, only about 50% are actually on statin therapy. Additionally, among those who are prescribed statins, 75% abandon their prescription within 2 years. Given the litany of presumed adverse effects, it’s no wonder that many see a greater risk than benefit in statin use. Because of the misinformed presumptions described above, Huabing Zhang, MD, and colleagues conducted a study to examine the relationship between continuation of statin therapy following an adverse reaction and clinical outcomes. Published in Annals of Internal Medicine, the study was a retrospective cohort drawn from Brigham and Women’s Hospital and Massachusetts General Hospital. All information, adverse reactions, continuation or discontinuation of statins, and outcomes were retrospectively obtained from reviewing electronic medical records (EMRs). The cohort was 81.1% Caucasian and male, and most were aged 50-70 years. Data, analyzed from January 2000 to December 2011, revealed that 22% of patients identified adverse reactions. Of the patients who reported reactions, 62% were analyzed, and of those, 70% were continued on some form of statin therapy. Patients who continued to receive statin prescriptions were more likely to be older and have a higher income, government insurance, a history of coronary artery disease and diabetes, a family history of coronary artery disease, an evaluation by a cardiologist, lower diastolic blood pressure, a higher BMI, and a lower LDL cholesterol level. Myalgia or myopathy and hepatobiliary and other gastrointestinal disorders were among the most common categories of adverse reactions. The study demonstrates that even after a presumed adverse reaction described by the patients, those who continued statin therapy had a 10% to 20% lower incidence of cardiovascular events, including myocardial infarction or stroke and death from any cause. The study also highlighted that up to 30% of patients who had a self-described adverse reaction to statins were never placed back on statin therapy. It should be noted that the study focused on primary care practices that tend to be less aggressive than cardiologists with statin use, which makes this study more consistent with real-world, routine clinical practice. 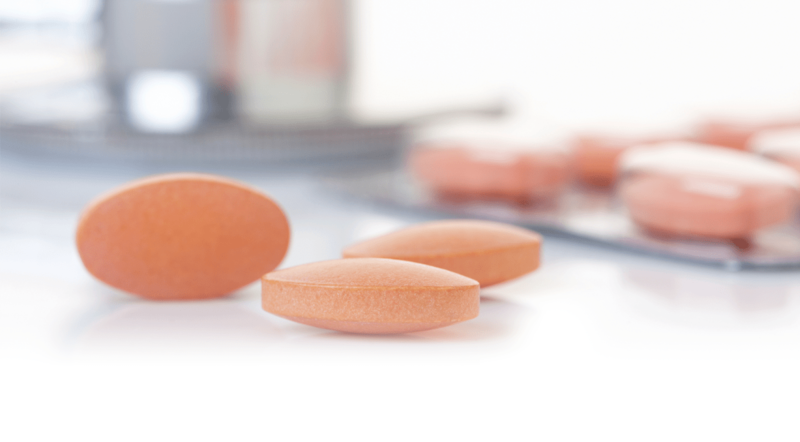 Even after self-reported patient reactions to statins, the benefits of continued statin use appear to outweigh the risks. Thus, clinicians should promote and reinforce statin adherence. The problem, as always with retrospective cohort studies, is bias; primarily recall bias from self-reporting patients and the generalizability of the cohort. The cohort consisted of mostly older white men with multiple cardiovascular risk factors, making them a higher risk and, therefore more likely than other patient groups to benefit most from continued statin use. For a physician who sees mostly younger, healthier patients, it may be difficult to extrapolate any clinical direction. The retrospective analysis and reliance on the EMR only allows for an association rather than a causal relationship. There can be many confounding variables that are unknown and, as such, a true conclusion as to the benefits of statins cannot be fully declared. Ideally, most physicians should walk away from this study with an understanding that the benefits of statins outweigh the risks in higher-risk patients; these agents should be continued even in the face of an adverse reaction in this patient population. As noted in the recent lipid-lowering arm of the Anglo-Scandinavian Cardiac Outcomes trial, patients are more likely to report muscle-related adverse events with statin therapy if a trial is un-blinded. Physicians should understand that there is a bit of a “nocebo” effect with statins and should educate patients as to the benefits of their continued use. More randomized controlled trials are needed to clearly identify patients who would benefit from statin use for primary prevention. In the meantime, promoting regular aerobic exercise, healthy weight and eating, and absence from smoking is a universally agreed-upon recommendation that clinicians can implement to lower patients’ cardiovascular risk. Zhang H, Plutzky J, Shubina M, Turchin A. Continued statin prescriptions after adverse reactions and patient outcomes: a cohort study. Ann Inter Med. 2017;167:221-227. Available at http://annals.org/aim/article/2645552/continued-statin-prescriptions-after-adverse-reactions-patient-outcomes-cohort-study. Banach M, Stulc T, Dent R, Toth P. Statin non-adherence and residual cardiovascular risk: There is need for substantial improvement. Int J Cardiol. 2016;225:184-196. Vinogradova Y, Coupland C, Brindle P, Hippisley-Cox J. Discontinuation and restarting in patients on statin treatment: prospective open cohort study using a primary care database. BMJ.2016;353:i3305. Rosenson R. Statin non-adherence: clinical consequences and proposed solutions. F1000Res. 2016;5:714. Amnon Beniaminovitz, MD, FACC, has indicated to Physician’s Weekly that he has no financial interests to disclose.